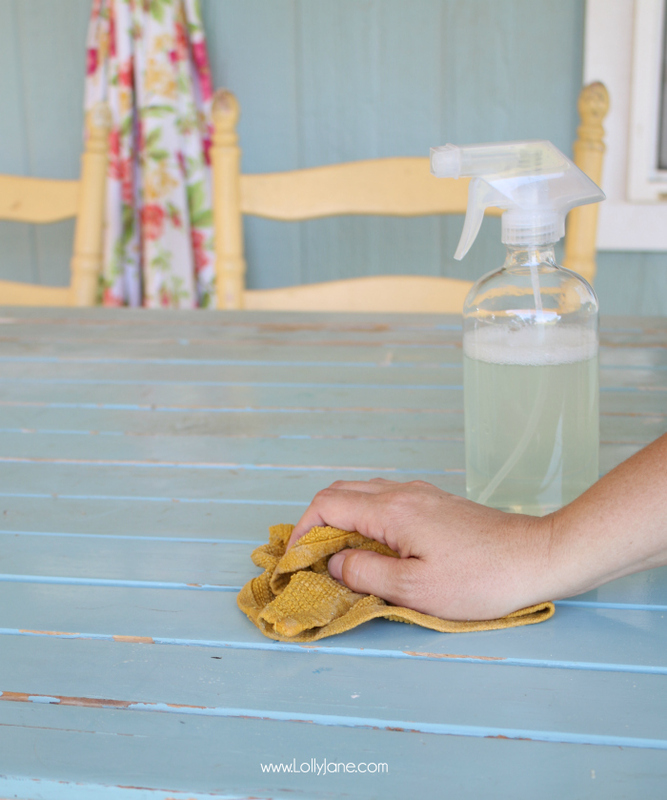 A big thanks to Better Homes & Gardens and The Clorox Company for sponsoring today’s post. All opinions, as always, are our very own. Summertime means tons of barbecues around here and since we’re so seasoned (see what we did there? Ha!) 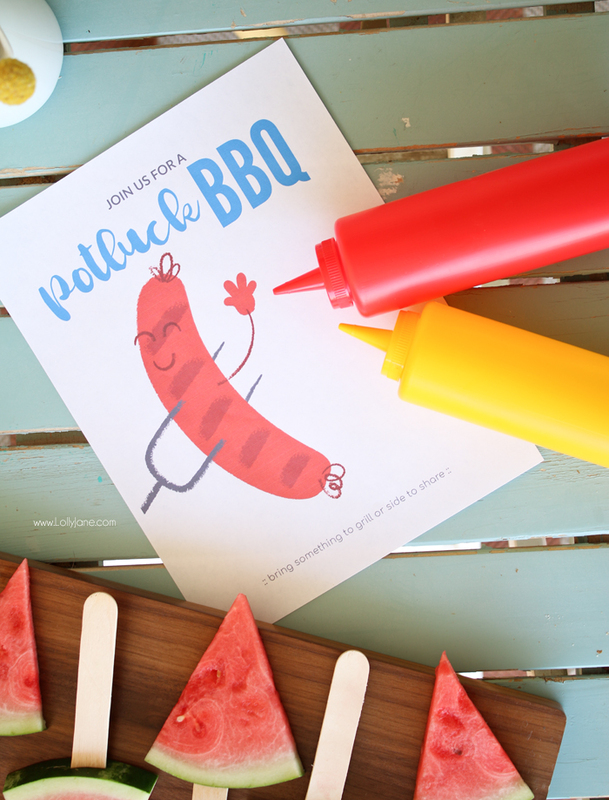 with the process, we’re sharing some easy barbecue tips, ideas and hacks to help yours go just as smoothly! Our biggest tip is to shop one store that has it all; less stress for these mamas who can make a list, shop, and head back ready to party! 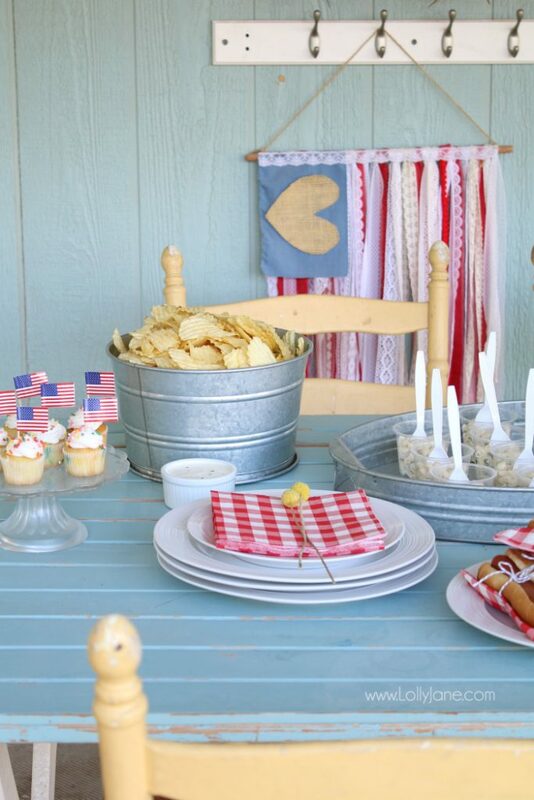 Walmart happens to carry our most favorite line of decor that is perfect for summer entertaining, Better Homes & Gardens. Their pieces are perfect for holding chips, drinks, appetizers, the main course, and every side dish in between! 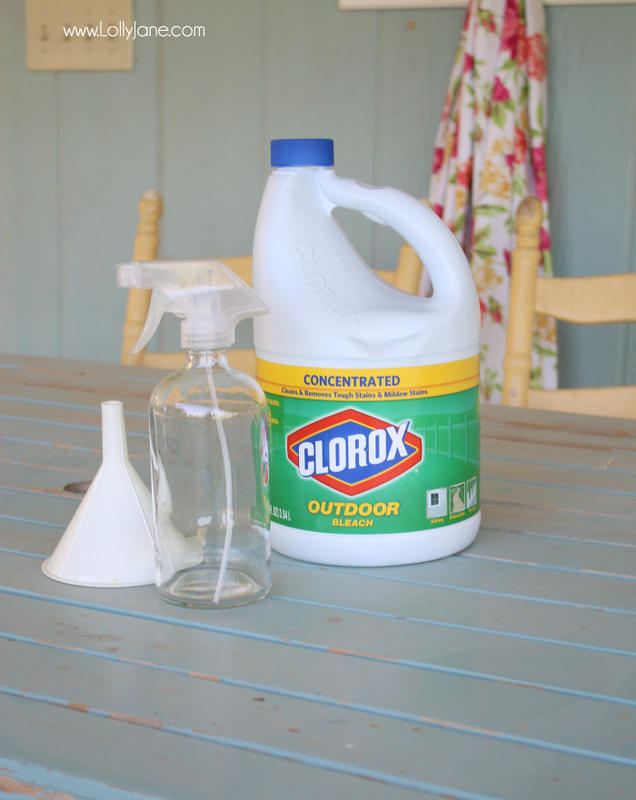 While shopping we spied Clorox® outdoor outdoor bleach in the garden section and knew it would be perfect to sanitize my outdoor table and get it ready for the yummy spread! 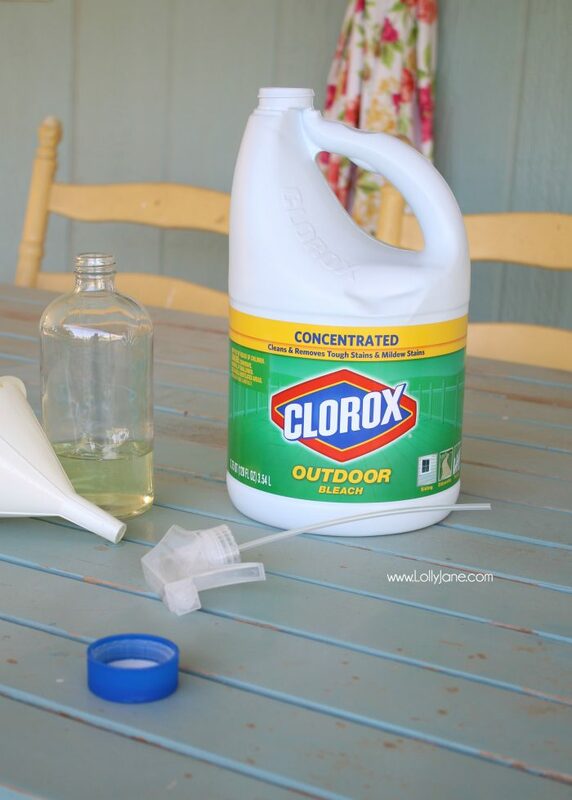 We just added a bit of Clorox® outdoor bleach with water then sprayed the chairs and tabletop down. 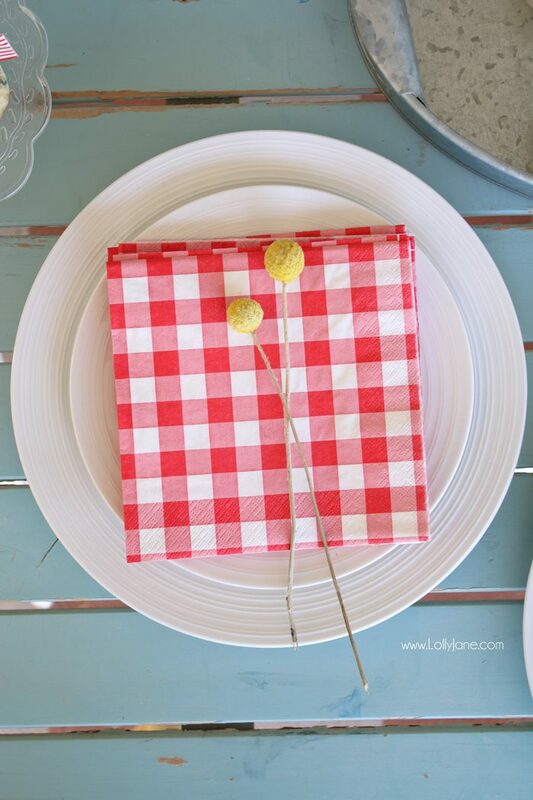 A wet dishtowel wiped away the grime and gunk from our last party and left my vintage table looking ready for edible items to top it! Viola! Clean and ready to party, germ-free! From there it was a matter of grouping foods around how you would build your plate, (plates next to main course, add sides, then top with dessert,) then set the table that way. 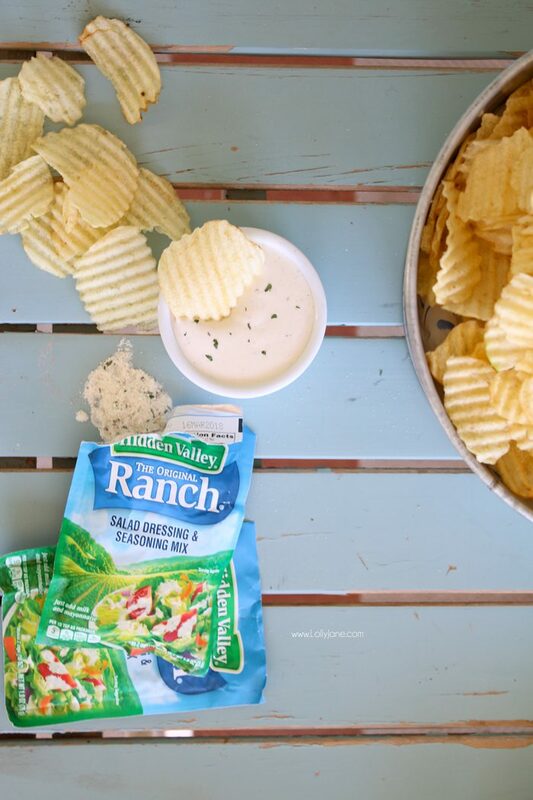 Hidden Valley® Ranch dressing packets also come in handy for chip dip! Mmm! After the veggies were prepared we moved onto the main dish, hot dogs, a staple around here since they’re a kid crowd pleaser. 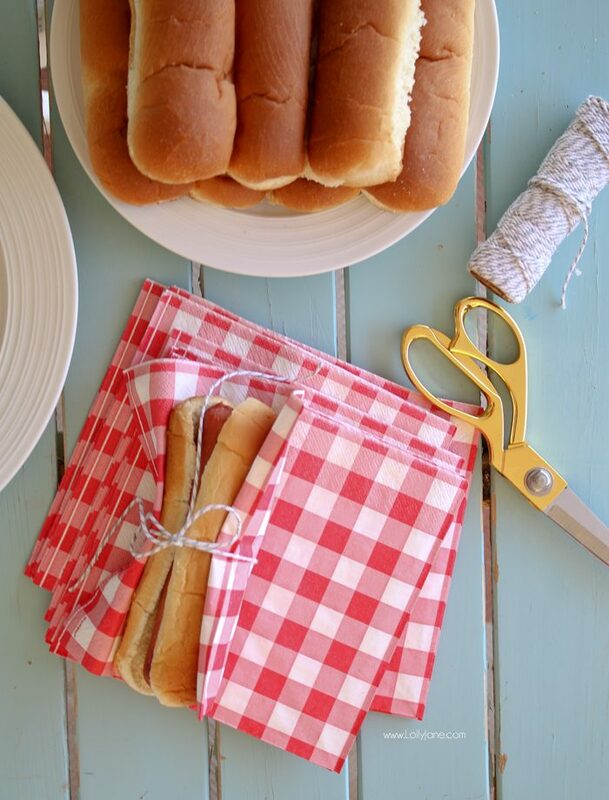 To make it easier for them to grab ‘n go, we wrapped the napkin around each hog & bun, then tied them up. 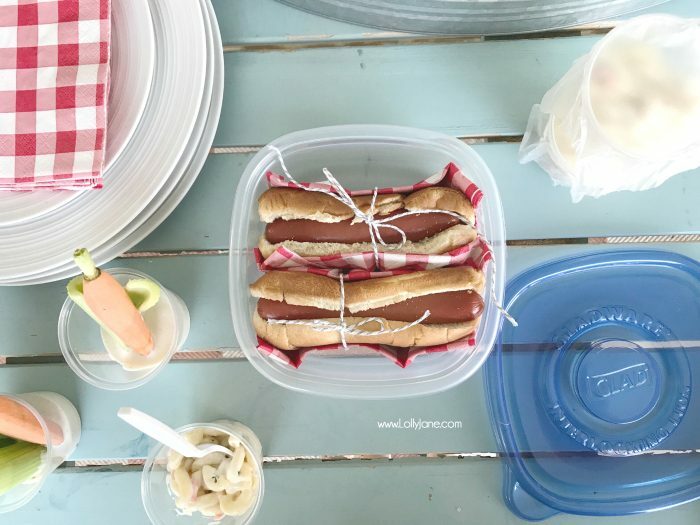 They can snag a dog and easily squeeze ketchup or mustard from our squeeze bottles found at Walmart. No mess, no fuss! Watermelon tastes the best in the summer, right? 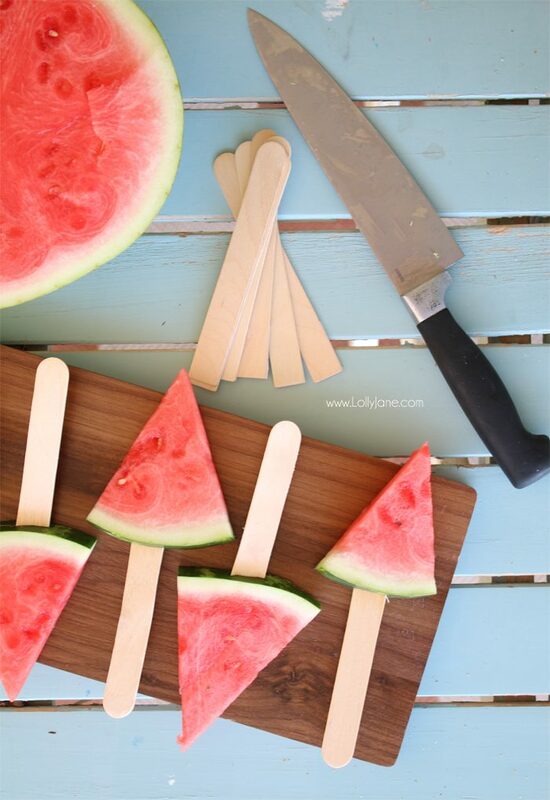 To make it as kid-friendly as possible, and without making a giant sticky mess for me or my patio, I cut a slit in the rhine of the watermelon after cutting it into triangles, then popped a large craft stick in the slit. Easy peasy! 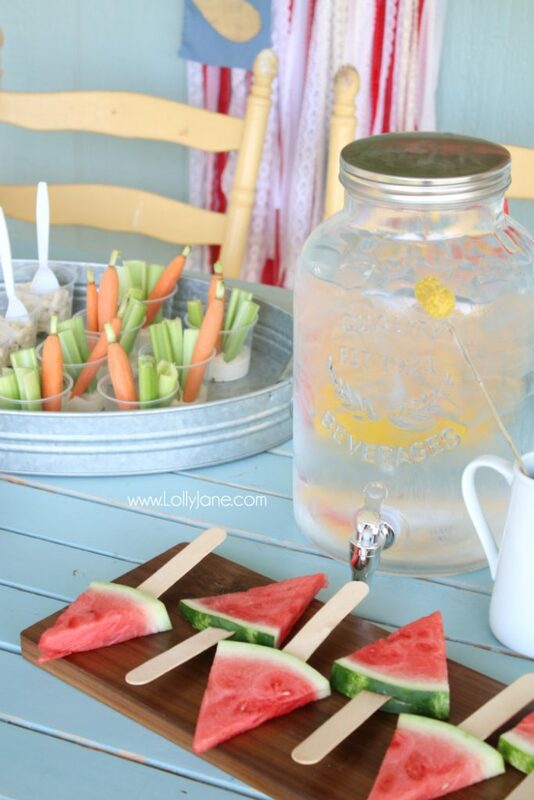 Watermelon on a stick = mom win! 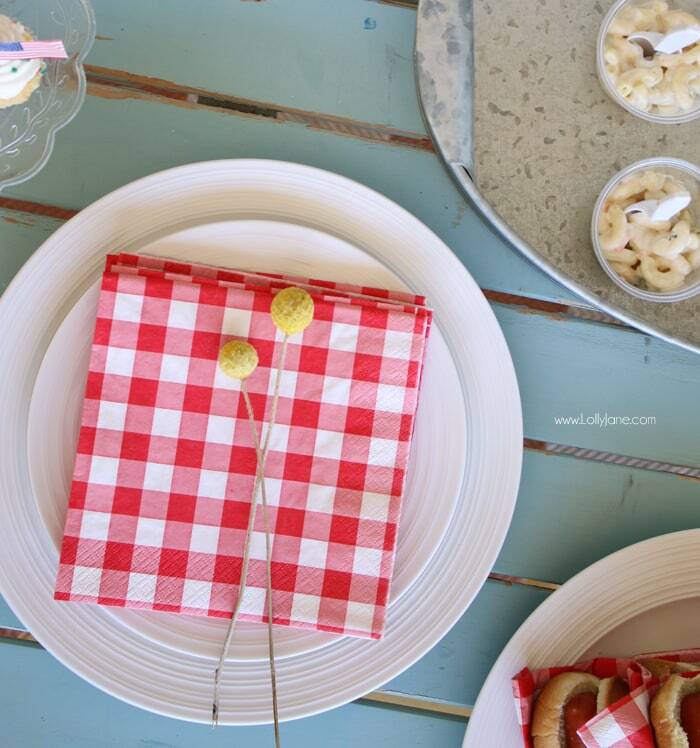 Some of my favorite entertaining ware staples are also from Walmart, especially the Better Homes & Gardens line. 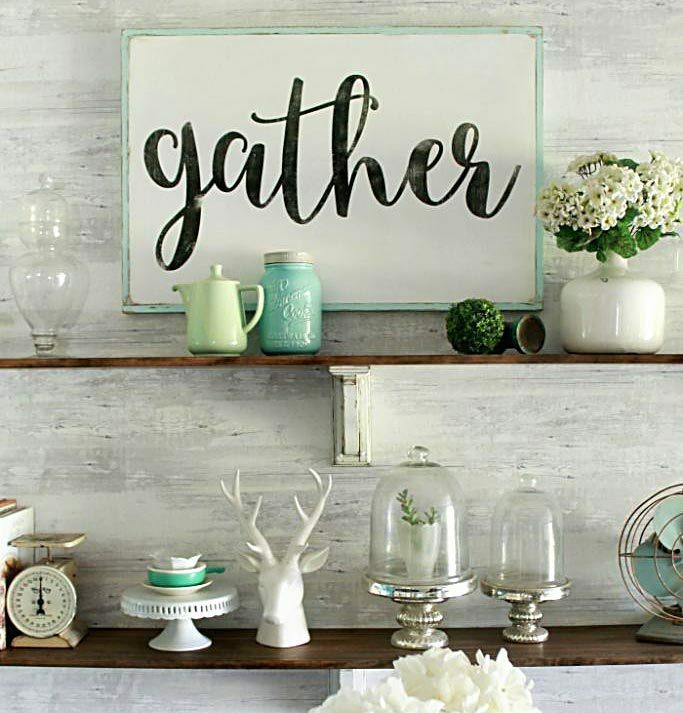 Galvanized pieces are classic and go with almost any theme! I coordinated them with pretty white Better Homes & Gardens dishes and they are a perfect pair! This mason jar style glass water dispenser from Better Homes & Gardens really ties the galvanized with the classic white together, doesn’t it? I love how playful it is for the summer look we are going for! 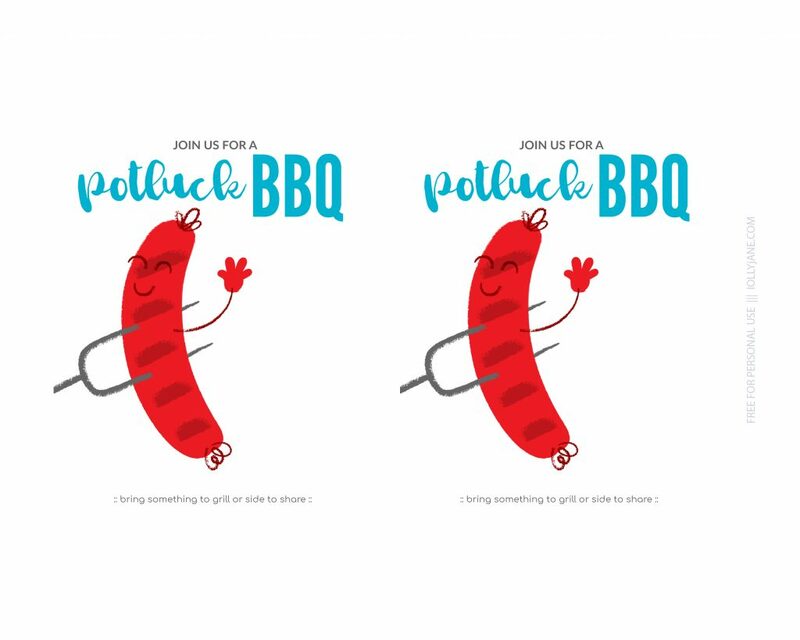 If you want an easy BBQ invite, we’ve whipped up a generic one you can simply download and either handwrite the details on or add text over it before printing. 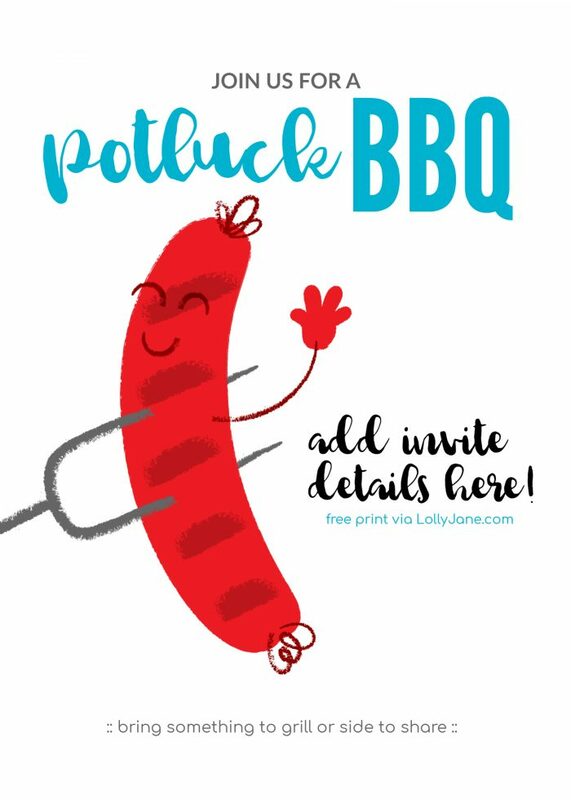 Click here to our free BBQ invitation, then just right-click to save or print. Once you’re all done with the BBQ, don’t toss the leftovers but store them with Glad® Press’n Seal or inside Glad® containers. 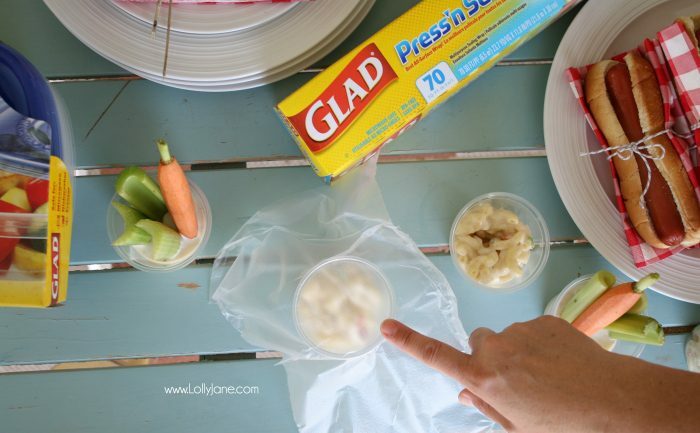 The individual sized veggies (as well as macaroni salad) don’t need to be thrown out but instead, add a layer of Glad® Press’n Seal then store in the refrigerator for 1-2 days longer. Extra hot dogs? 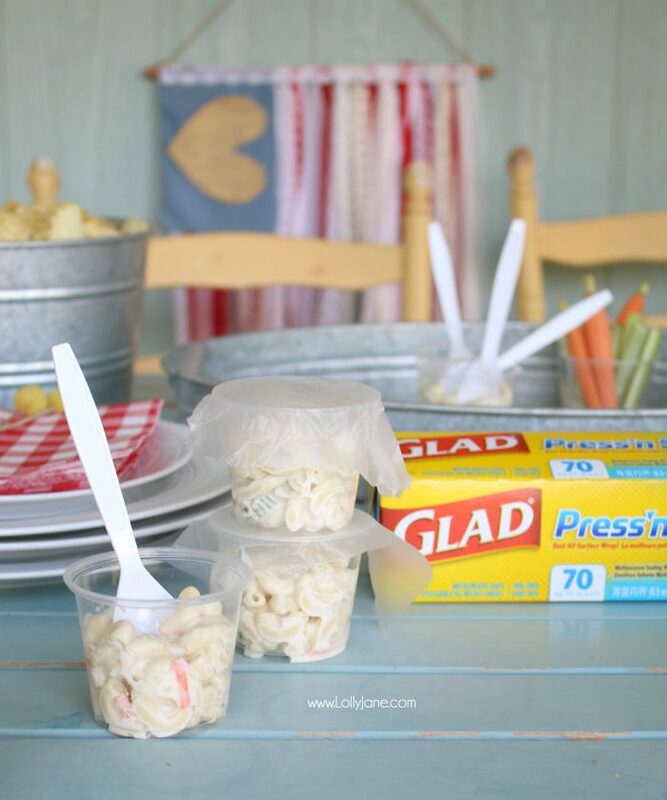 They fit perfectly inside these Glad® storage containers. 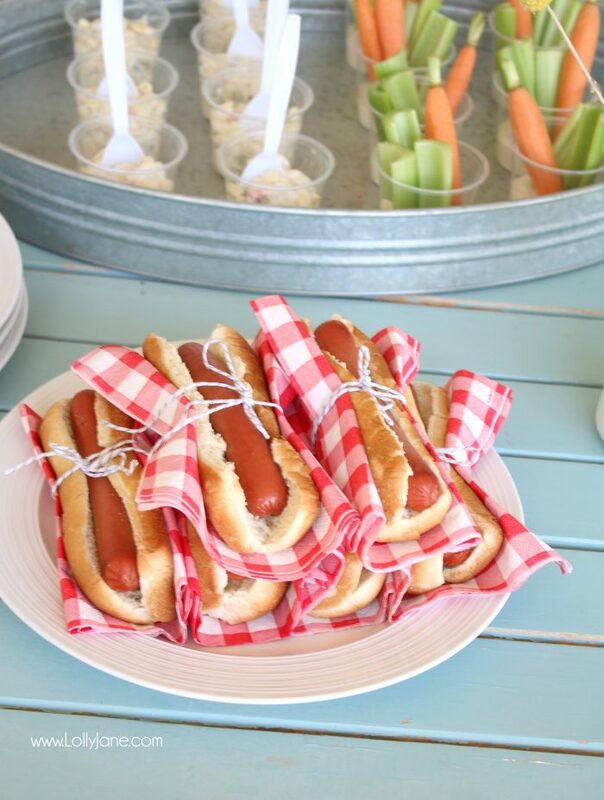 Seal them up then pop them into the microwave for 15-30 seconds and your hot dog will be just as good as when it was pulled off of the grill! 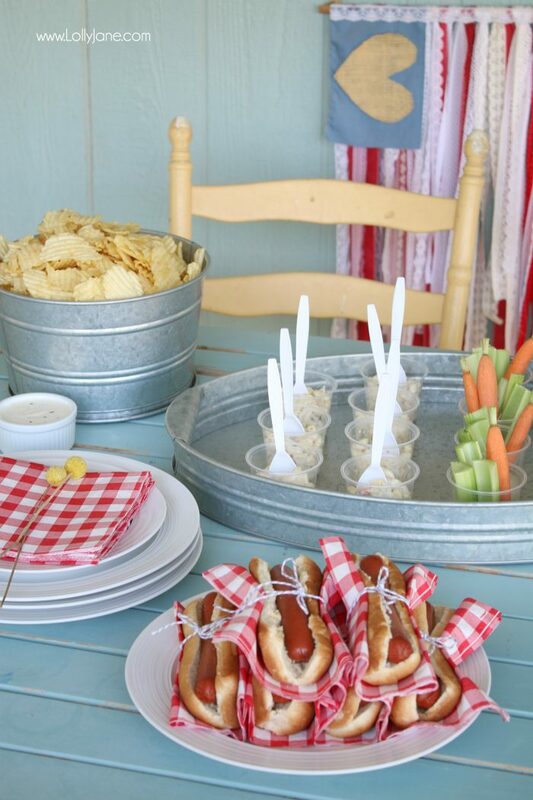 Be sure to check out more summer entertaining ideas and products from Better Homes & Gardens, Glad® storage, and Hidden Valley® on their social media and sites! 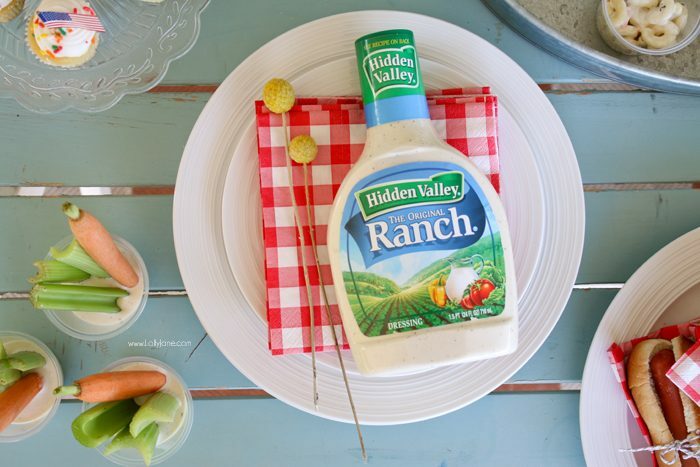 Great ideas for the next Barbecue! Thanks so much for sharing with us at Full Plate Thursday, have a great weekend and come back soon! Thanks so much, Amber! We hope you got some good tips! What a great little barbeque. 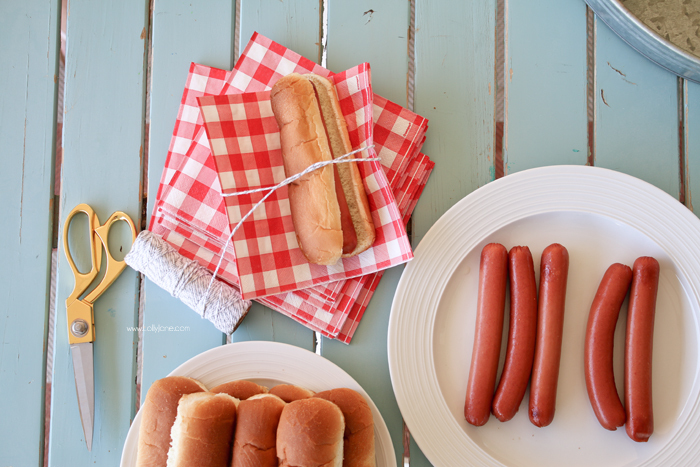 I cannot get over how cute the hotdogs are done up in a pretty napkin. I never would have thought of it. Thanks for the inspiration. I’m ready to throw a neighborhood barbecue now! 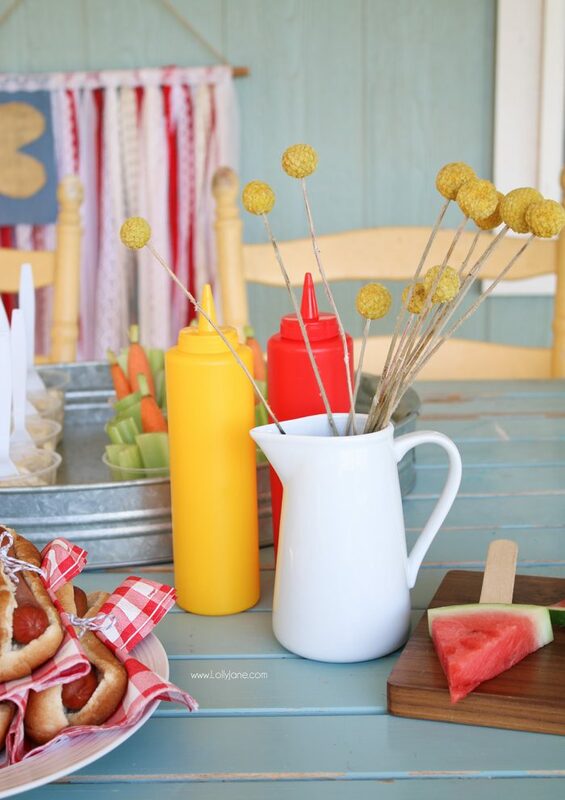 Love the fun ideas like watermelon slice on a stick and tying the hot dogs with nostalgic string. Congrats, you’re featured this week at the This Is How We Roll Link Party. What great tips for any Barbecue. Thanks so much for sharing with us at Full Plate Thursday and you have a great weekend! These are great ideas! We don’t have real young kids at our get-togethers anymore, but I love shopping at Walmart for stuff like that. I have the Mason jar drink dispenser, so I guess now I just need the galvanized pieces to go with it! BBQs are one of the best parts of summer! 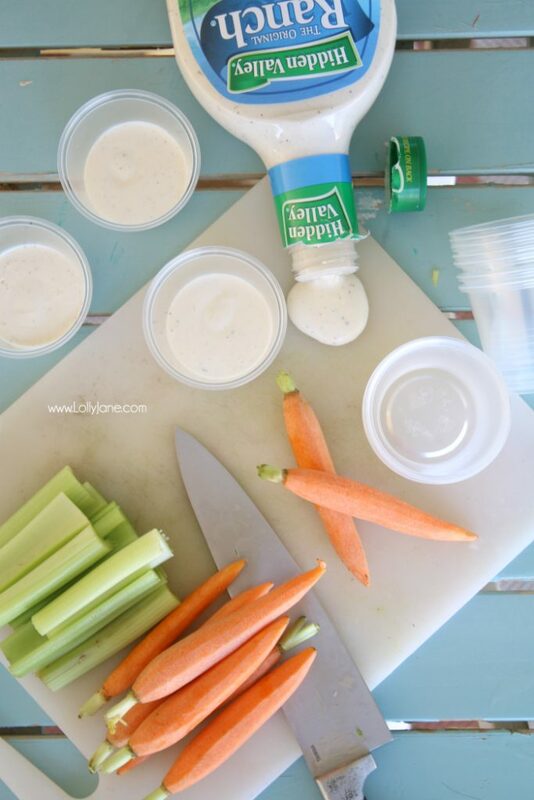 Thanks for sharing these seriously cute ideas on Homestead Blog Hop!